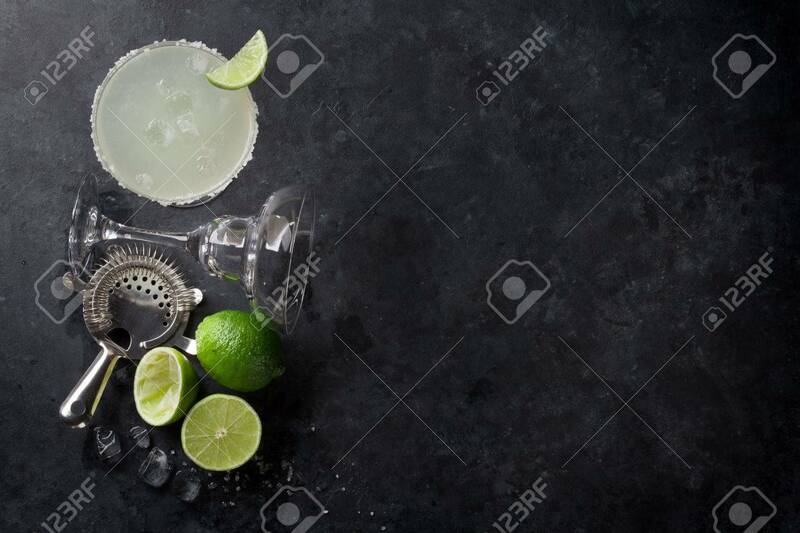 Margarita Cocktail On Dark Stone Table. Top View With Space For.. Stock Photo, Picture And Royalty Free Image. Image 68747595.